The Lebanese Polish relations date back in time. Their history dates back to the XIIIth century when pilgrims were traveling to the holy places and at the same time visiting Lebanon. Following the partition of Poland in the late XIIIth century, many Poles fled their country, many chose Lebanon to stay. However the wave of arrivals of Polish refugees during the Second World War, 1943-1945, has reached thousands who came with their wives and children. The hospitality extended to them encouraged them to develop their social, cultural and educational activities. Encouraged to lead a normal life in Lebanon, many have excelled in their field, as Edward Romanski, head of construction for irrigation, Karol Flecker who modernized painting, Karol Schayer, a famous name who specialized in Lebanese architecture…to name a few. This friendship between Lebanon and Poland remains solid until today, and continues despite the circumstances. 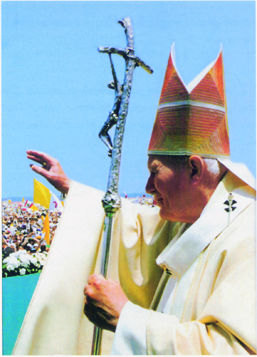 The holy Pope John Paul II during his visit to Lebanon in 1997. Culture in Poland is intimately etched in history. Music, opera, museums, architecture …perfectly evoke the passion of Poles to their homeland. Great Polish poets living in exile wrote many pages to show their commitment to their country. John Paul II, whose real name is Karol Vojtyla, also a poet, never hesitated to glorify his homeland. His visit to Lebanon in 1997speaks to the commitment of the individual to his land, and tells well and truly the unshakable link between Lebanon and Poland. And his famous phrase, remained rooted in the memory of the Lebanese as a testament: “Lebanon is more than a country, it’s a message,” no doubt prompted many Lebanese to cling more to their country. Moreover, tourist staying in Poland is forever marked by the music of Frédéric Chopin with his waltzes, his Polish, his impromptu, music that is the song of the soul of genius that Poles venerate the point’ be a part of their cultural heritage. In Lebanon, the Polish emigrants who graduated from Alba, AUB, USJ, left their cultural, artistic, economic marks in our country. 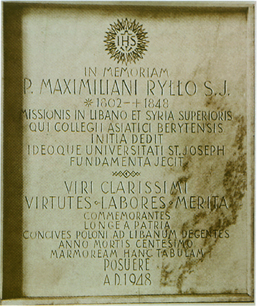 One of the most famous Polish romantic poets Juljusz Slowacki, seduced by the beauty of Lebanese nature and its history, has long lived in the monastery of St. Antoine in Ghazir where a museum was dedicated to him in 2002.Another great personality of the Polish community is none other than the Reverend Jesuit Father Maksymilian Ryllo. 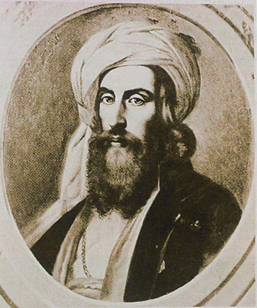 It is him the founder of the University of St .Joseph called at the time Catholic Collegium Asiaticum who stayed in Ghazir for 23 years before moving to Beirut in 1875 to settle there permanently. In December 1948, for the 100th anniversary of the death of this great Polish missionary, a commemorative plaque adorning the academic hall on the premises of the University in memory of its founder. Father Ryllo had also offered to the Church of Our Lady of Deliverance in Bikfaya a beautiful icon of the Holy Virgin, he had ordered it to the famous Italian painter Podesti. A masterpiece still decorating the church. The founder of USJ, RP Maksymilian Ryllo. 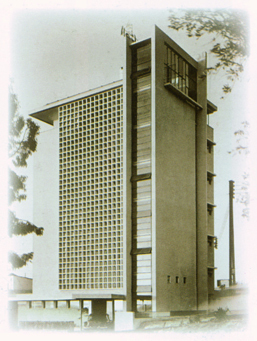 Carlton hotel, Dar Assayad and other buildings signed by Polish architects. Polish architecture has also etched its name on the Lebanese monuments. Many Polish immigrants chose to remain in Lebanon after the wave of departures of their countrymen in the 50s. Among them, one name remained unforgettable for his commitment to Lebanon, that he soon recognized as his country: Karol Schayer. This architect has emerged on the Lebanese scene as a visionary. He has collaborated with prominent Lebanese engineers as Bahij Khoury, Makdessi and Wassef Adib. This partnership has enabled the building of a number of “modern” monuments as the Carlton Hotel, Dar Assayad, the headquarters of Shell, AUB Alumni and others in Saida and Tripoli. Died during a trip to the United States, Schayer was buried in the Polish cemetery in Beirut according to his wishes. designed Dar Assayad and Carlton. The various peoples who have lived in Lebanon for thousands of years have inevitably left their traces. Ruins of churches, cities decayed, baths were discovered over time to the delight of researchers. Which attracted archaeologists from around the world, and the arrival of Polish researchers each summer in Lebanon became a tradition. Too much work and many discoveries. Indeed, Polish archaeologists, led by Dr. Tomasz Waliszewski, unveiled in 1996, the remains of a village in the region of Chehim up the 1st century BC. as well as the ruins of a Roman temple and an olive oil press dating from the 2nd century, and a 5th century basilica with its mosaics remained in perfect condition. Further down towards the coast, they found that Jiyeh was built on the ruins of a village of the 3rd century BC, village abandoned for centuries before resurfacing in 1975. Not far away, a “khan” of the XVIIIth century where travelers quenched their thirst on the Beirut-Saida road, and a Byzantine church of the same period, emerged from the rubble thanks to the perseverance of researchers.Not far from there, a residential area of the VIth century surprised these excavators. A discovery of major importance: 100 rooms built according to different styles: mosaics for some, carved stone for others. You could read on some walls Greek inscriptions, as the Psalms, painted in red. At a depth of 5 meters, two inscriptions on the walls of a basilica, are now preserved at the Museum of Beiteddine. One dates from the year 506, it commemorates the laying of the mosaic in the floor to welcome Bishop Kyrillos, the other, dating from year 595, comes from the baptismal site in Jordan. Lebanese-Polish artistic relations have never been as successful. 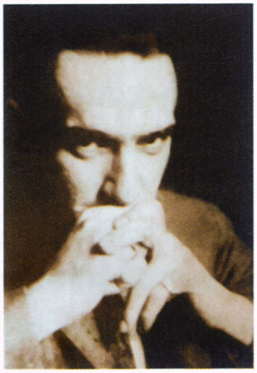 In fact, the late Dr. Walid Gholmieh, while composer and director of the Lebanese Conservatory, encouraged by the virtuoso musician Wojciech Cezpiel, created the Lebanese Symphonic Orchestra conducted by this talented Polish composer who gave his first concert in February 2000. Let’s recall also that another great composer, Krzysztof Pendereck inaugurated the Baalbeck Festival in July 2010.Penderecki had already, in 1971, presented always in Baalbek, another masterpiece the Passion according to St. Luke. The Department of Conservation and Restoration of Works of Art in Warsaw was also very active in Lebanon since1996, in close collaboration with the General Directorate of Antiquities in Lebanon, operating under the directives of the Lebanese Ministry of Culture. Most of these paintings were discovered in North Lebanon, and many of those who survived the weathering and erosion over the centuries. Most date of the XIIth and XIIIth centuries, the time of the Crusades. They all reflect the culture of the period, influenced by the West. Northward Kaftoun, a village nestled in the picturesque valley of Nahr el Jawz, attracts more than a curator. Its Greek Orthodox Monastery is one of the oldest monuments of Lebanon, despite its beautiful appearance that betrays its age .Its church, Our Lady of Kaftoun houses a wooden icon of inestimable value that dates from the XIIIth century, representing on one side the Holy Virgin and Jesus, and the baptism of Christ on the other. During the restoration work, the nuns discovered fragments of walls in color. Polish curators took the responsibility of safeguarding these valuable paintings inside the church. The church received a nice facelift and frescoes are now considered among the most famous in the region. Also in the North, St Charbel church in Maad, built during the medieval period on the ruins of a Roman temple, the church still attracts many devotees from the surrounding regions .Its iconography, damaged over the centuries, was rescued and in 2009 the paintings recovered their original color and luster. The capital Beirut is no exception. Mar Elias Btina, a Greek Orthodox Church, built in the XIXth century, gets out of its ruins. Its rectory, dug into the rock, proved much older. 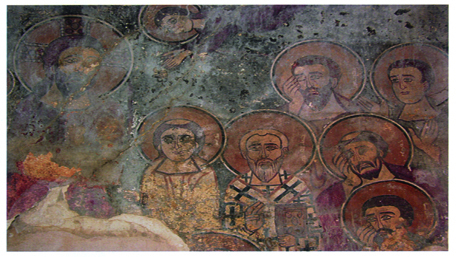 And it was not until 2010 that the Curators raised the curtain on beautiful iconography on the walls of the church. 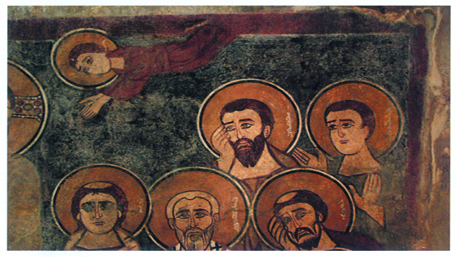 One representing St. Elias sitting, the other holy Elijah in his chariot ascending to heaven. Today, beautifully restored, they arouse the admiration of the faithful and tourists. The St. George Greek Orthodox Cathedral in downtown reflects different periods. The oldest part, discovered beneath the present church dates from the medieval period with its mosaics, columns and statues. Fragments of iconography dating from the XIIIth century were already identified and safeguarded. Many other restoration works were also carried out in many parts of Lebanon by the Polish curators including Saydet al Kharayeb Kfar Helda, or Our Lady of the Ruins, depending on the abundance of pottery objects found around the church. Or also Mar Asia, near Kfar Helda, a small ruined church whose walls were covered with religious inscriptions written in Ethiopian. 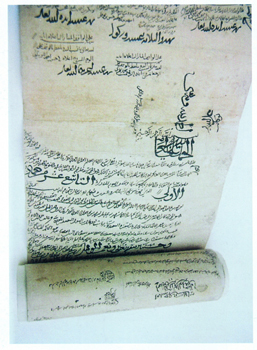 Polish expertise in the conservation of documents and books helped the Lebanese to preserve their legacy and heritage. The National Library of Lebanon, founded in 1921, had its premises until the beginning of the war in 1975 in the Lebanese Parliament. Windows and damaged roofs caused over the years, serious damage to many documents. In 1993, the National Archives Center appealed to the UN for the renovation of historical documents and manuscripts. Anna Czajka, a Polish from the National Library in Warsaw, an expert in this area, arrived in Beirut under the auspices of the Program for United Nations Development (UNDP), which set up a laboratory dedicated to the preservation of archives. Gradually, the manuscripts are cleaned from dust and moisture and secured in appropriate containers. Anna, who remained in Lebanon until 2003, undertook to introduce students, Lebanese and other to the technical preservation and maintenance especially in the prevention of damage to documents and books, emphasizing the importance of preserving the records in excellent condition to protect the immense richness of the collection of photographs of archaeological excavations in all regions of Lebanon. An invaluable asset, which tells the story of Lebanon for millennia and a legacy to preserve fiercely to inform future generations. The close collaboration of Polish archaeologists with various Lebanese institutions, undoubtedly contributed to the success of this arduous and extraordinary task, which brought to light the fabulous historic treasures of Lebanon. The Church of St.Charbel in Maad before and after restoration.